The internet is rife with completely warranted criticisms of the appalling new James Corden-led Peter Rabbit movie. It is, frankly, an insult to Beatrix Potter’s beloved character and to Beatrix herself. So I started reading up on quotes from Potter to remind myself of the true magic of the lovely worlds she created. 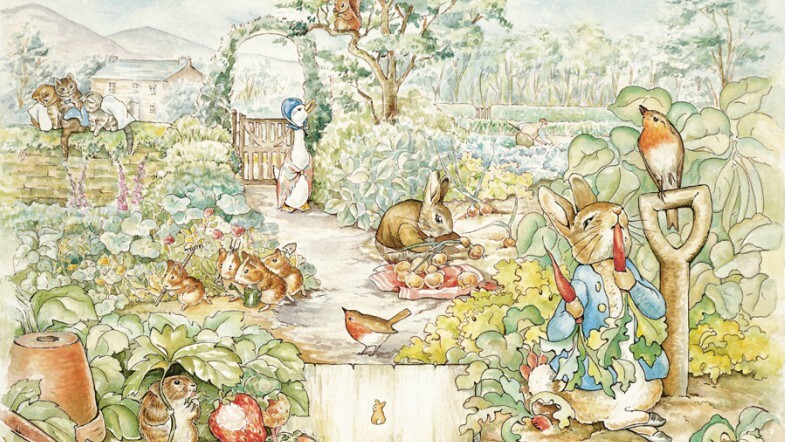 Peter, his mother Josephine, and sisters Flopsy, Mopsy, and Cotton-Tail reside in the same universe as Potter’s other wonderful animal creations such as Jemima Puddleduck (a duck), Mrs. Tiggy Winkle (a hedgehog), and Squirrel Nutkin (a squirrel), among others. They are a magical, charming, amusing bunch and Potter was truly a visionary. Here are ten of her best quotes. 1. There is something delicious about writing the first words of a story. You never quite know where they’ll take you. 2. I hold that a strongly marked personality can influence descendants for generations. 3. Believe there is a great power silently working all things for good, behave yourself and never mind the rest. 4. Thank goodness I was never sent to school; it would have rubbed off some of the originality. 5. I remember I used to half believe and wholly play with fairies when I was a child. What heaven can be more real than to retain the spirit-world of childhood, tempered and balanced by knowledge and common-sense. 6. Thank God I have the seeing eye, that is to say, as I lie in bed I can walk step by step on the fells and rough land seeing every stone and flower and patch of bog and cotton pass where my old legs will never take me again. 7. If I have done anything, even a little, to help small children enjoy honest, simple pleasures, I have done a bit of good. 8. There’s something delicious about writing those first few words of a story. You can never quite tell where they will take you. Mine took me here, where I belong. 9. I cannot rest, I must draw, however poor the result, and when I have a bad time come over me it is a stronger desire than ever. 10. Believe there is a great power silently working all things for good, behave yourself and never mind the rest.